Top (Chanel Husky, Min-hee Husky, Maquela Husky, Jessica Husky, Amari Husky, Diana Husky and Valentina Husky. All these Huskies belong to me. 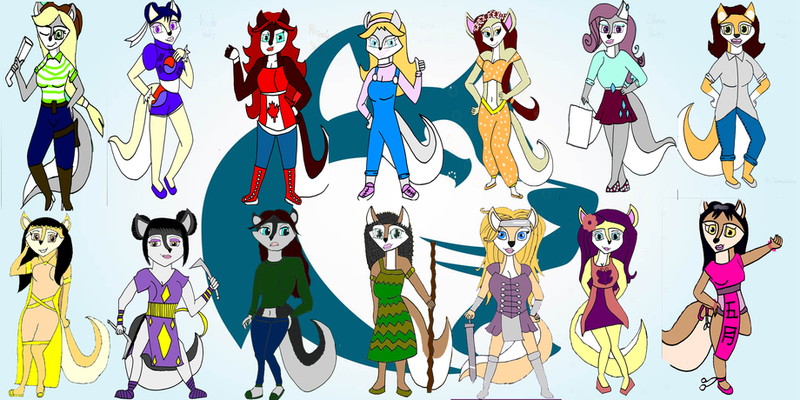 wow this is an awesome bunch I love your sweet Huskies very nice work.♥♥♥♥♥♥♥♥♥♥♥♥♥♥ yup 14 hearts for 14 awesome Huskies. So much work other than that, it's going pretty well.